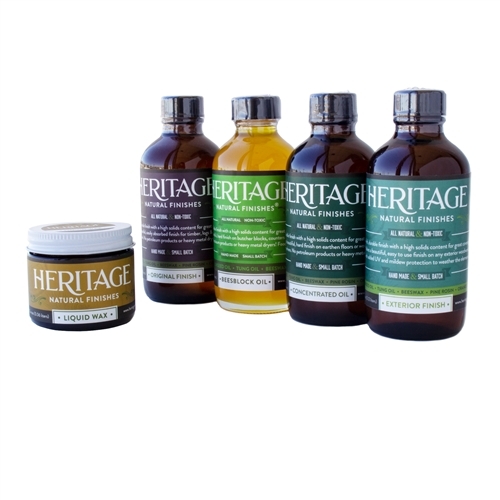 Our sample pack contains our primary natural oil finishes and our newest product: A 4 oz. glass bottle each of Original Finish, Exterior Finish, Concentrated Finishing Oil, 2 oz. of Liquid Wax End Sealer and our latest zero VOC food safe finish, the BeesBlock Oil. Please ignore what the shipping estimator says- shipping is around $12-$15 and ships via FedEx Ground! The online estimator will be way off, so don't fret, you will not be charged what it's saying there!